Setting the momentum for the grand trailer reveal on his birthday on November 2, King Khan has shared two new posters for his upcoming film, zero, and they’re well worth the wait. After all, it’s one of the most awaited films of the year and the fact it stars three big names of Bollywood, Shah Rukh Khan as vertically challenged guy alongside Anushka Sharma and Katrina Kaif only adds up to curiosity. Shah Rukh treated his with a new poster that shows his dwarf avatar, with Katrina Kaif staring into his eyes. He captioned it, “Sitaaron Ke Khwaab Dekhne Walo, Humne Toh Chaand Ko Kareeb Se Dekha Hai.#Zero poster”. Indeed, the diva looks glamours in the figure-hugging red gown with a thigh-high slit as she embraces Shah Rukh’s character. In the second poster, Shah Rukh finally unveiled the first look of Anushka Sharma, who is seen on a wheelchair. with the caption, “Iss Poori Duniya Mein, Meri Barabari Ki Ek Hi Toh Hai… #Zero poster”. Zero is the story of Bauua, a vertically challenged man played by Shah Rukh Khan. Katrina plays an alcoholic actress and details of Anushka’s character haven’t been revealed so far. The makers had shared a glimpse of that King Khan and Salman Khan song in the second teaser that released on Eid. While Shah Rukh has unveiled two new posters of his upcoming film, the trailer of Zero will be launched on Nov 2, as its King Khan’s 53rd birthday and the actor along with his zero teams are planning to make it big. 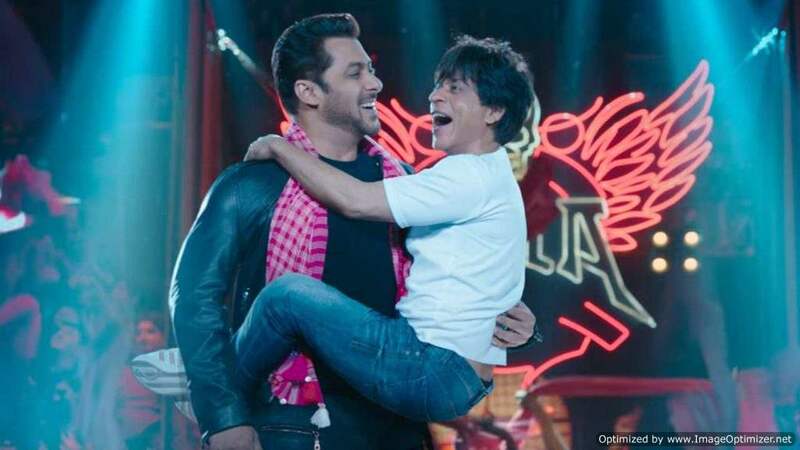 Film analyst Taran Adarsh tweeted this information that Shah Rukh Khan and Anand L Rai will unveil the trailer of zero at IMAX Wadala in Mumbai. The makers of the film are also planning to create a Meerut like a venue as some part of the film has been shot in Meerut.